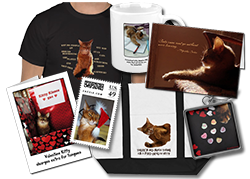 While my human did sell a number of cards at last weekend’s cat show, she has lots of inventory left over. Most of the cards she will be selling elsewhere, but I thought it would be a good idea to sell the Valentine’s Day cards here on my blog. Otherwise, they will just sit around for a whole year. 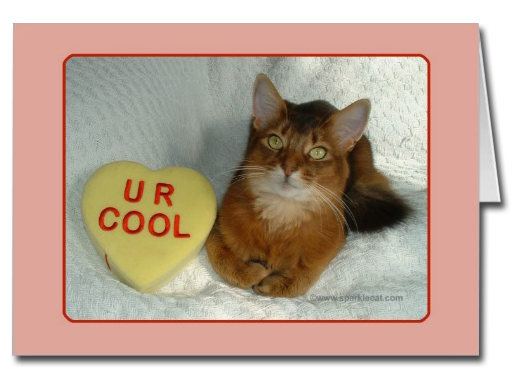 There are a six different card styles (sadly, she does not have any of my favorite Valentine’s Day card). They are all blank inside. We don’t have a lot of any of them — the most we have of any particular card is six. 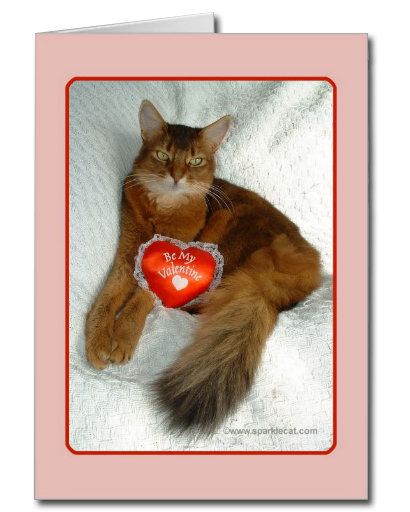 There are even some cards that feature Binga! 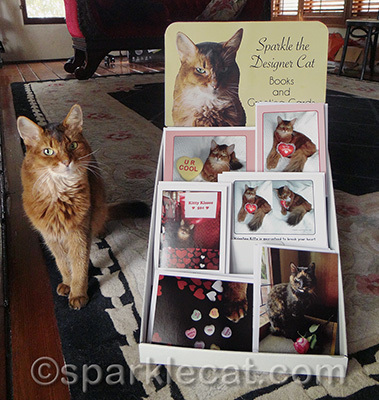 Because Valentine’s Day is only a couple of weeks off, I am only selling these cards until Monday, February 3, and I am only shipping them in the U.S. to make sure they get to you in time! 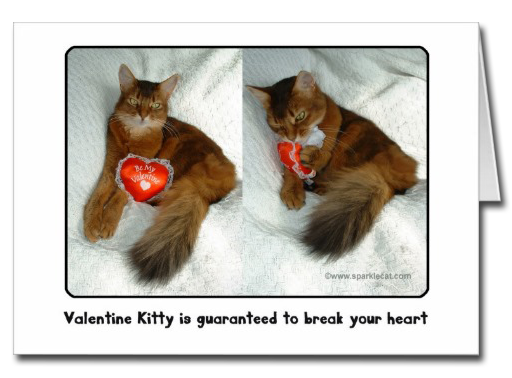 All cards will be mailed by Tuesday, February 4. Limited time deal, limited number of very cool cards… go for it! 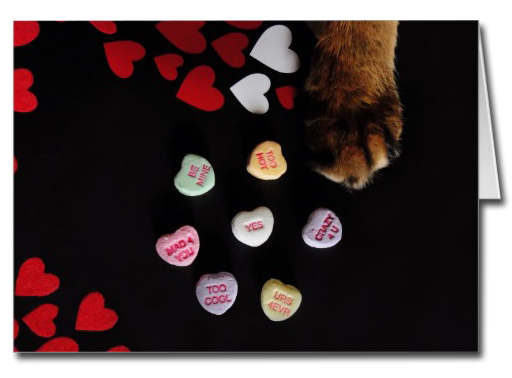 What pawsome cards! Maybe Buzz or Parker will get me one. Great cards Sparkle! 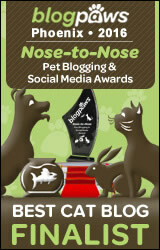 LOVE the one of Binga too! 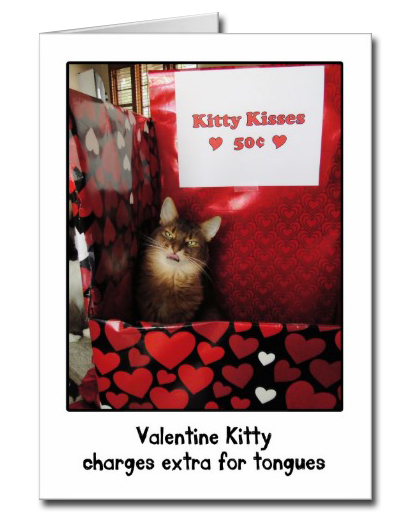 You might get more if Binga went with the card…..
We especially love the kissing booth one! Those really are great cards. The pictures are very special. Sure hope all of you have a great day. 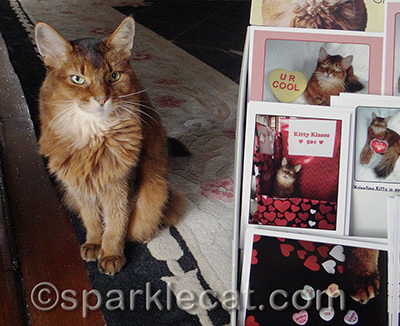 What fabulous cards, your human is one smart photographer and I’d struggle to decide which card is my favourite. Two things strike me, one is you have one gorgeous foxy tail Sparkle! Why did I not spot this before, and the tail definitely needs more exposure. 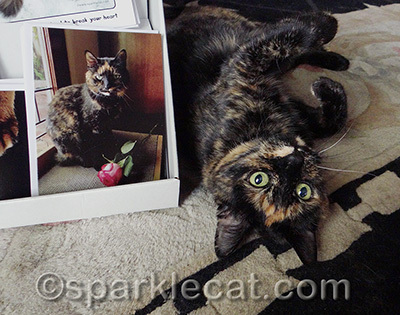 Two, is how serious and stunning Binga is. 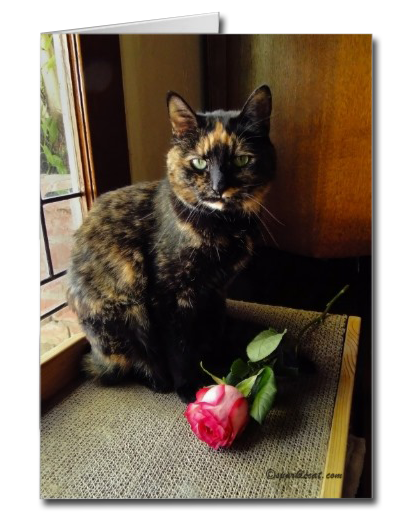 Darker torties are so hard to get a good shot of but this is a fabulous one. These are all beautiful cards. Those cards are very cute!